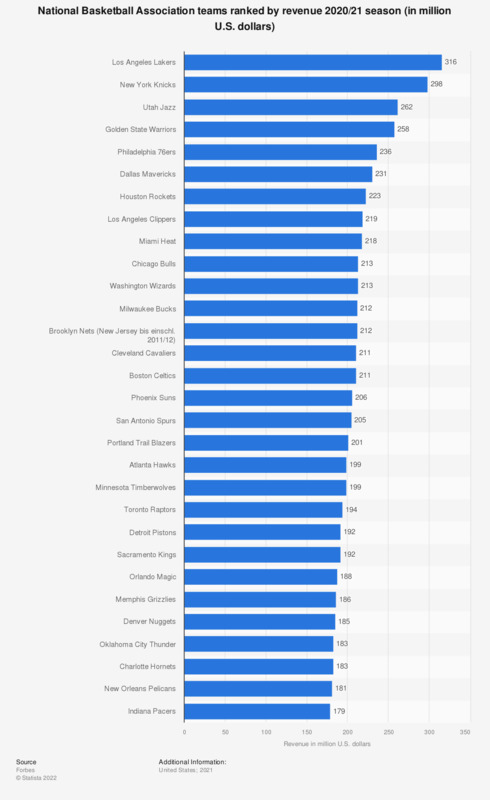 The statistic ranks all NBA teams according to revenue in the 2017/18 season. The Los Angeles Lakers generated revenues of 443 million U.S. dollars in the 2017/18 season. * Net of stadium revenues used for debt payment.